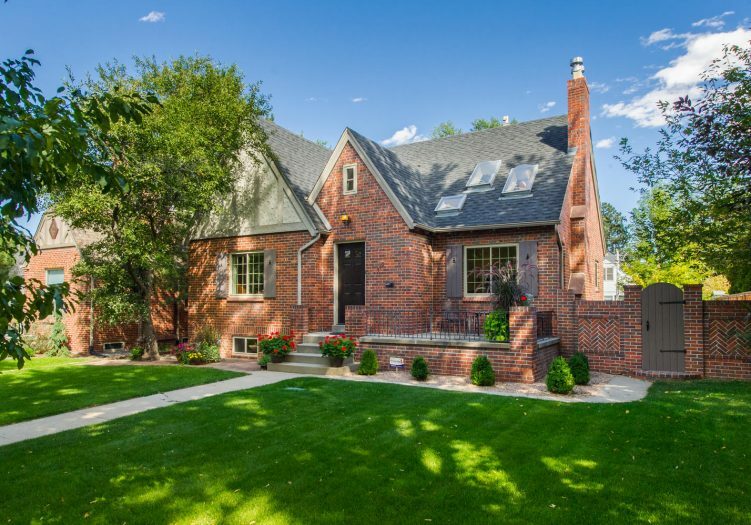 Rare Zoning for 2 Unit (Duplex) --- Beautifully updated Tudor on tree lined Hilltop street, mere blocks to Cherry Creek, Trader Joe's and 8th Ave Development. Old world charm meets modern convenience, character statements of Pre-WWII construction with updated systems, windows, bathrooms and kitchen. Main level is light and bright with vaulted, skylight living room, updated kitchen with stainless appliances and slab granite & opening to a spacious dining room. Two main level bedrooms, updated full bathroom and a vaulted loft with a huge unfinished storage room (a great future master bedroom possibility). The basement provides additional opportunities in the family room, 3rd bedroom (non-conforming without egress window), updated bathroom and large laundry and storage room. Other special features are: 2 Car-Detached garage, new windows; new heating system including a boiler, hot water tank & radiators, 2ndary Central Air and gas forced air system. Perfect for living in or development.